Claire Cowie was a full-time Lecturer during the 2015–2016, 2016–2017, and 2017–2018 academic years. She is also teaching full-time during the 2018–2019 academic year. She is represented by James Harris Gallery and Elizabeth Leach Gallery. 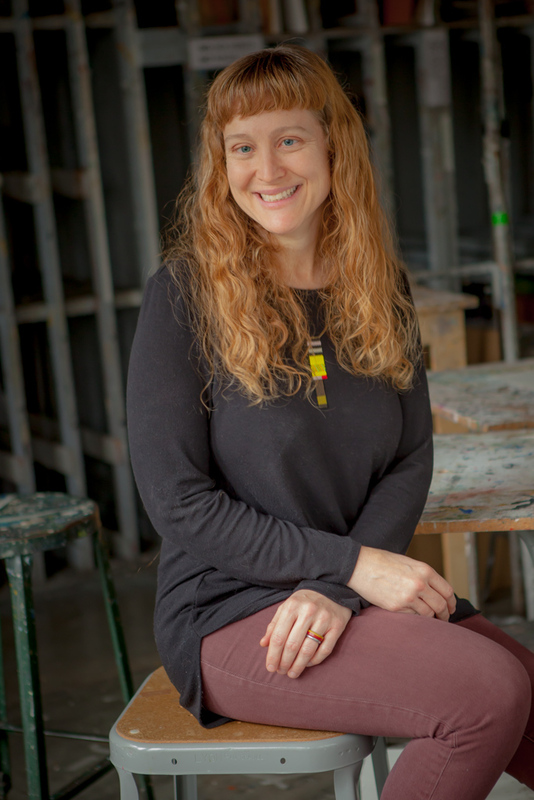 Awards include a Pollock-Krasner Grant and fellowships from the Washington State Arts Commission, Artist Trust, Seattle Office of Arts and Culture, and the Behnke Foundation. Collections include Twitter, Allen Institute for Brain Science, Henry Art Gallery, Microsoft Corporation, Swedish Cancer Institute, Tacoma Art Museum, and the Bill and Melinda Gates Foundation. Reviews of her work have appeared in Art in America, Artforum, Artweek, and the Los Angeles Times. Cowie's paintings and sculptures address ambiguities in perception, shifting landscapes, and fragmentation of memory and time. Claire Cowie, Kubota Garden No. 1, 2015; Sumi color, watercolor, acrylic ink on paper; 29.5 x 41.5"
Claire Cowie, Columbia City No. 2, 2015; Sumi color, watercolor, acrylic ink on paper; 29.5 x 41.5"
Claire Cowie, Lincoln Park Conservatory No. 1, 2016; Sumi color, watercolor, acrylic ink on paper; 29.5 x 41.5"